The day-to-day realities facing the NHS. Two patients await life-saving surgery at St Mary's, Paddington. They both need a bed on the intensive care ward but there's only one left. Two patients await life-saving surgery at St Mary's in Paddington, the biggest of five hospitals in the Trust. They both need a bed on the intensive care ward. But the hospital is full to capacity and there is only one bed left. 67-year-old Simon needs an operation to remove a cancerous tumour from his oesophagus. As he is being prepped for surgery, St Mary's takes a call from an ambulance speeding to London. In the back is 78-year-old Janice. She is being 'blue lighted' to St Mary's with a ruptured aneurysm in her aorta and is less than six hours from death. If she arrives alive, and survives the surgery, she will also need a bed in intensive care. 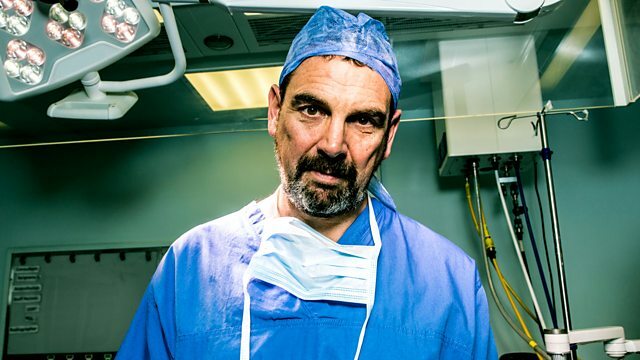 Surgeons Professor George Hanna and Richard Gibbs, who are slated to carry out the operations, are at the centre of this film. They attempt to do the right thing for both patients in a complex life-and-death situation where two into one just won't go. In a world where beds are at a premium, operating can seem like the easy part. Simon has had his cancer operation cancelled once already and, having completed extensive radiotherapy and chemotherapy, needs his surgery to be completed soon. The consultant in charge of the Intensive Care Unit is also feeling the pressure. It is down to him to make the difficult decision about who to admit for surgery. "There are no beds in the hospital"
Visit the interactive pages on OpenLearn, to investigate further.